Nuno felting was developed by Polly Stirling, a fiber artist from New South Wales, Australia, around 1992. The technique bonds loose fibers onto a sheer fabric such as silk to create a soft, light-weight felt. 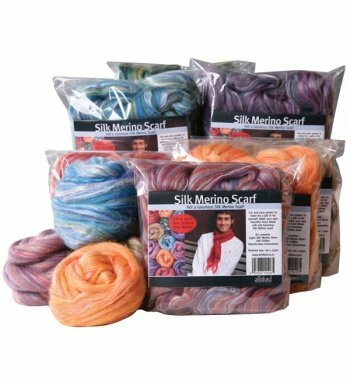 In this class, you will learn the technique and complete a luxurious 9" x 76" silk/merino scarf in one session.